The Virtual Experiments Team @ Southampton University has launched a new website and several new virtual experiments. 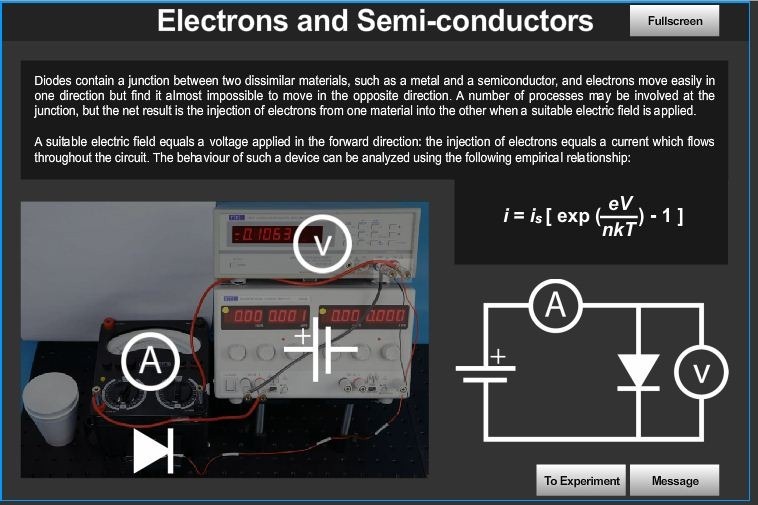 The new website found at now features various electronic computer science and chemistry Virtual Experiments that can also be embedded in various learning platforms. These experiments may be a little too advanced for main the 11-16 curriculum but what about A Levels or even gifted and talented sessions? Any scientists out there that could clarify the situation for me? What is a Virtual Experiment? A Virtual Experiment or VE is a highly interactive web application. Unlike a simulation a VE does not usually model any part of the experiment; but is an interface to a set of pre-recorded experimental states derived from the original experiment. The users are given the tools to access the apparatus via the screen (mouse, pad or touch screen) and record the results themselves. Just as a plug, the team are available for commission and have released guidance documentation with advice and more information here.